Feeling romantic? 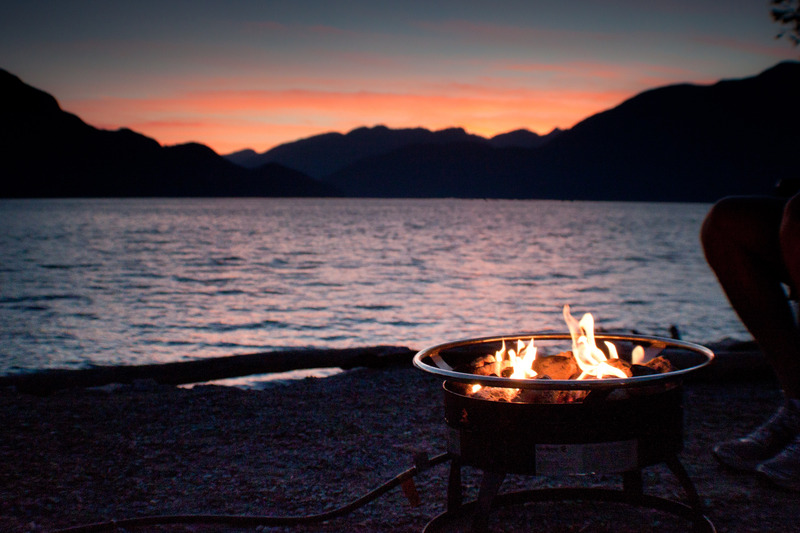 Here are some of our recommendations for a romantic weekend in Squamish. Slip into Squamish Integrated Health and watch your stress melt away as you treat your sweetheart (and yourself) to one of several treatments including Shiatsu, Acupuncture, Registered Massage Therapy and more. How about a night away in a mountain view one bedroom suite with a bottle of wine and chocolates to enjoy in front of a cozy fire? The Executive Suites Hotel & Resort is offering a "Sea to Sky Romantic Adventure" package that includes a bottle of wine, chocolates, discounted tickets to the Sea to Sky Gondola, a $50 gift card to Norman Rudy's and 1 pm late check out. When the ocean calls, we can’t think of a better place to find it than at the Olympic Cabins at Porteau Cove. Built for the 2010 Winter Olympics, each oceanfront log cabin provides prime sunset viewing and picturesque Howe Sound views. Stay in with a good book and bottle of wine, or head out for activities and attractions all within a 20-minute drive. Gluten-free, organic and vegan brunch is easy to come by at the Crabapple Cafe whose menu includes everything from smashed avocado on toast to housemade buttermilk pancakes. Dine at one of Squamish's best craft breweries and pair quality North West cuisine, such as Drunk Salt Spring Island Mussels, with award-winning Howe Sound ales. The brewery also provides tours at 1 pm daily. This British-style gastropub offers traditional fare, live entertainment, casino action and a patio complete with outdoor fireplaces and sweeping views of the Stawamus Chief. Whether you dine outside, inside or at the bar, you are in for a treat. Big Squamish views of mountains, ponds and forests surround the massive patio, and with outdoor fireplaces, you can cosy up and enjoy supper under the stars. Combining comfort kitchen with farm fresh, this will be a dinner for the books. Recently voted one of the top 30 new restaurants in Canada, The Salted Vine places a premium on fresh, sustainable and seasonal ingredients and the quality shines through in every dish. Stop by for dinner, or pop in from 3 - 5 pm for happy hour. Soup and salad, sandwiches, burger and wraps and everything in between. Enjoy dinner at the course's Clubhouse and take in stunning course views with a mountain backdrop. Visit Squamish's newest craft cidery for a delightful evening of libations, appies and a notoriously fun atmosphere that will keep you planted firmly in your seat all night long. Check out the Speakeasy Cocktail Bar (after 5 pm) Friday and Saturday nights for beautiful drinks made by an award-winning mixologist, the Boozewitch herself! The intimate atmosphere is guaranteed to set the mood for a good night. Looking for an extra special and unique way to say “I love you”? Take a romantic flightseeing tour, an adventure that will reveal hidden lakes, peaks and ranges and offer breathtaking views of the Sea to Sky region. Heli and flightseeing tours are the perfect way to create lasting memories for you and your loved one. The trailhead to this snow-covered paradise is just a quick drive up Mamquam Road from Highway 99 where you’ll find a whopping 195,000 hectares of glacier-capped mountains, lakes and untapped territory. Plus, the Red Heather Hut is a pretty romantic place to stop to cosy up by the fire. Winter tires and snow chains are a must for all vehicles travelling to this area. There is nothing more romantic than sharing breathtaking Squamish views with that special someone in the height of winter. Walk, hike, then rest and relax at the Summit Lodge. Thinking of planning a romantic weekend? Forgo the traffic and head to the mountains where you’ll find fresh air, ocean views and tables for two. Here are some of our recommendations for a romantic weekend in town.